We examine Coinicor in this review and find out that it is a scam. 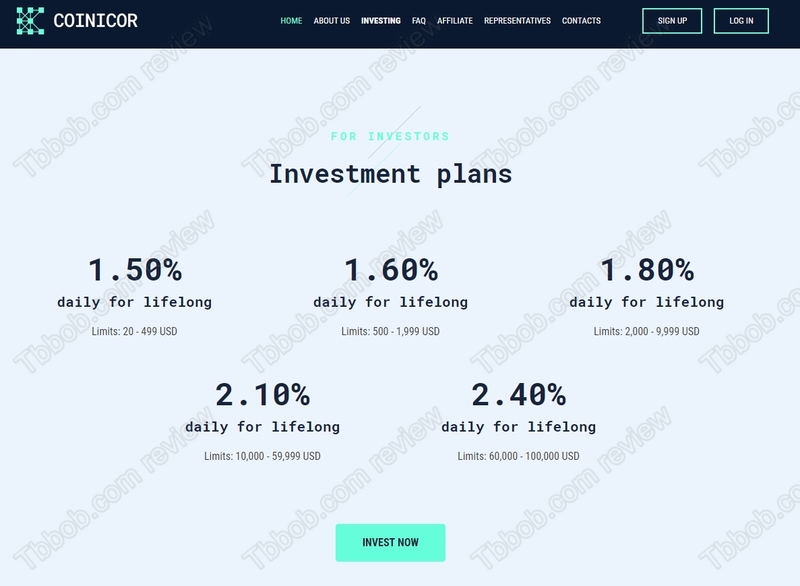 Coinicor is supposed to be an investment platform that combines Forex and crypto trading, P2P lending, bitcoin mining and startups investing. All these activities allegedly generate high profits, so you can get up to 2.4% daily, which is 72% per month. Does it sound plausible? Unfortunately, Coinicor is just a scam of the Bitconnect type. 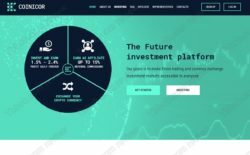 The offer of Coinicor is the same, but in reality there is no real profitable trading or investing going on, just a scam. Coinicor is playing a dirty game with deposits, they use them to pay out some initial profits, so it is absolutely sure that they will run out of money. It is not a question of if, but when. You don’t need to be a financial expert to see this, because 72% per month is a ridiculously high number that is impossible to achieve in any legit business, at least not in the long term. So, forget about Coinicor, don’t send them any money, don’t use any of their product if your money is dear to you. We should also remind you of one thing: every investment service of this kind has to be licensed by national regulators. 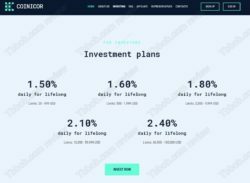 Coinicor is run by a British company called Icor which is not authorized by the Financial Conduct Authority to provide investment services. This means that Coinicor is an illegal investment service, it is only a matter of time before authorities will go after it. Coinicor is a scam, it is going to collapse, stay away from them with your money! 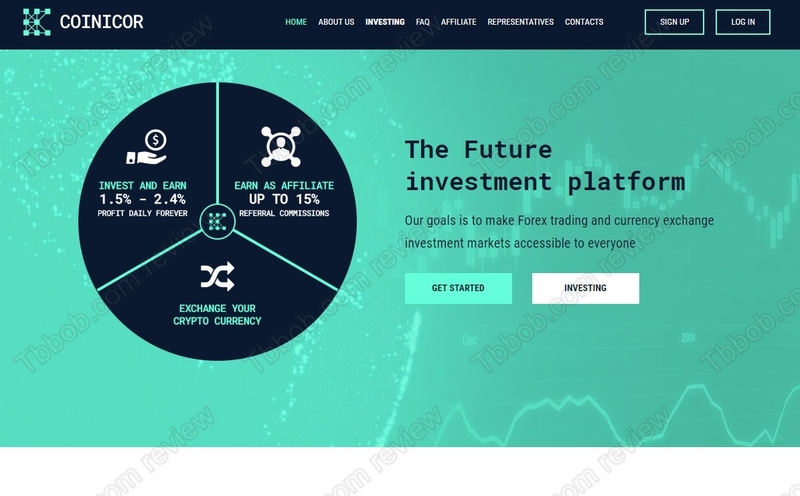 Trading cryptocurrencies can be profitable, but it is not easy, you can try it on a free demo with a regulated broker. There are things to learn and to understand before you can become a profitable trader.